On Thursday India gave the go-ahead to Pakistan’s proposal to build Kartarpur corridor to facilitate Sikh pilgrims wishing to visit the Gurdwara Darbar Sahib in Narowal District near the Indian border. Prime Minister Imran Khan will perform a groundbreaking ceremony of the Kartarpur corridor on November 28, 2018. Reacting to the announcement, Punjab Cabinet Minister Navjot Singh Sidhu welcomed it and thanked Prime Minister Imran Khan for taking the step. According to diplomatic sources, the Indian Home Ministry wrote a letter to the Pakistani High Commission in New Delhi in which Islamabad’s decision to open the Kartapur corridor was welcomed and appreciated. There has always been a war between India and Pakistan or at least the threat of one. 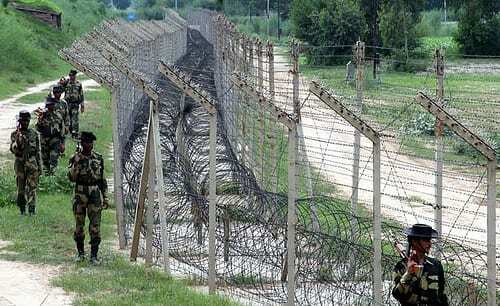 Recently we heard about two Indian soldiers killed at the border of Kashmir. Tensions are always high between these two nuclear neighbours and often gestures of such nature, are refused purely out of spite. The billions of Pakistani and Indians are hard to please, especially on the Kashmir issue, both laying claim to the land for over 60 years. The Indian cabinet agreed to the Pakistani proposal at a meeting chaired by Prime Minister Narendra Modi in view of the 550th birth anniversary of Baba Guru Nanak Dev Ji in 2019. The Gurdwara Kartarpur Darbar Sahib in Narowal in Pakistan’s Punjab province holds religious significance for the Sikh community. It is where Baba Guru Nanak settled down after his travels as a missionary. He lived there for 18 years until his death in 1539. More than 3,000 Sikh pilgrims arrived in Lahore from India via special trains on Wednesday to celebrate the 549th birth anniversary of Baba Guru Nanak Dev Ji from November 21-30. The main ceremony will be held on November 23 at Nankana Sahib, which will be followed by a visit to Hasanabdal on the 24th, Lahore on 26th then Rohri on the 28th. The pilgrims will return to India on November 30.